Use the LG SmartThinQ® app to control key features from anywhere. Or use the voice-activated features of Google Assistant. Includes 8 cantilevered shelves, 8 foldable shelves, 8 SpillProtector tempered glass shelves, and more to provide ample space for storing items. Click the button below to add the LG - 22.7 Cu. 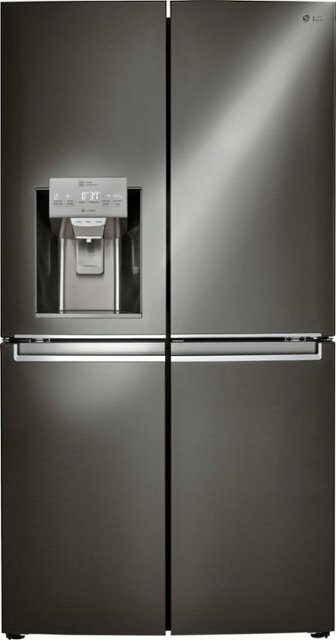 Ft. 4-Door French Door-in-Door Counter-Depth Smart Wi-Fi Enabled Refrigerator - Black stainless steel to your wish list.